Sometimes a braai can take its sweet time to start. Don’t we all know it. It’s a mystery knowing when the braai will start and who will be doing the braai-ing. 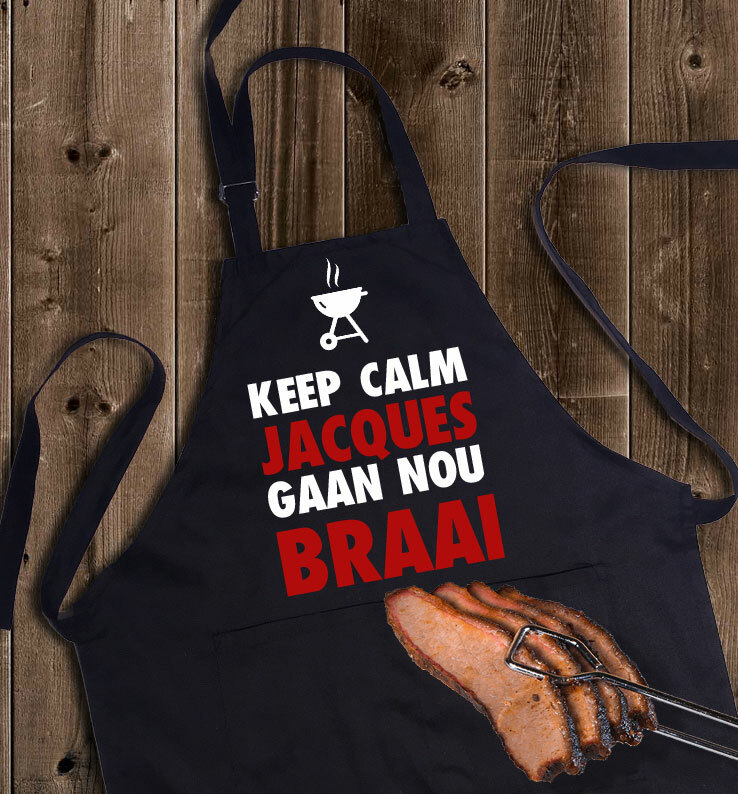 Put those days to rest with custom ‘Keep Calm’ Braai apron! Now your guests will know exactly who will braai your tjops and wors and when it will be happening. The apron includes two spacious front pockets to keep all your braai equipment, such as flashlights, spatulas, spices, beers and others, within easy reach. Custom name design – you can choose the name you want on the braai apron. We will e-mail/call you after you have placed your order to find out what the name is that you want on the apron. To speed up this process, you can leave the name you want on the apron in the NOTES section upon checkout.